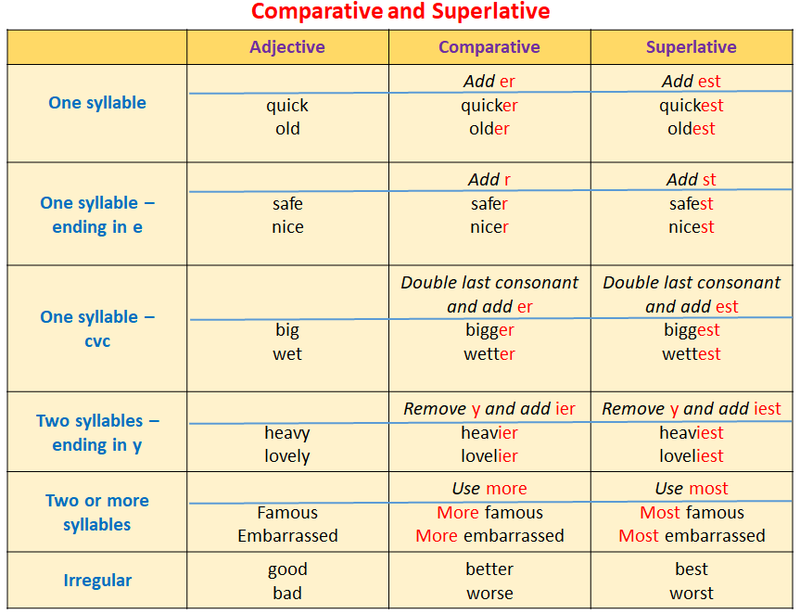 The following diagram gives some rules for comparative and superlative adjectives. Scroll down the page for more examples and solutions. An American English teacher explains how to use comparative adjectives. How to compare two things in English, using adjectives. I cover all the rules of comparative adjectives. An American English teacher gives a basic explanation on how to form and use superlative adjectives.